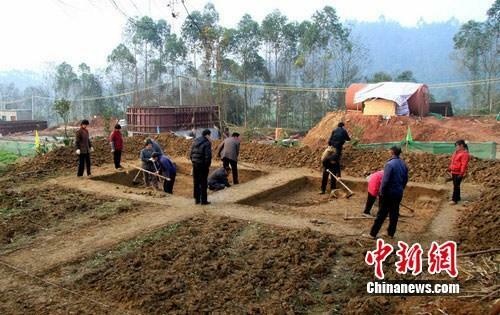 - CHINE – Chenjiashan - The cultural relics administration office of Qingshen County in Sichuan Province has completed its first excavation of the Chenjiashan ruins site- According to the office, archaeologists found five tombs belonging to Song and Yuan periods and clear cultural layers from periods ranging from the Tang dynasty to Qing dynasty. They collected nearly 1,000 samples of various kinds of pottery and porcelain. Also they unearthed some well-preserved funeral objects, including barn jars and pottery. 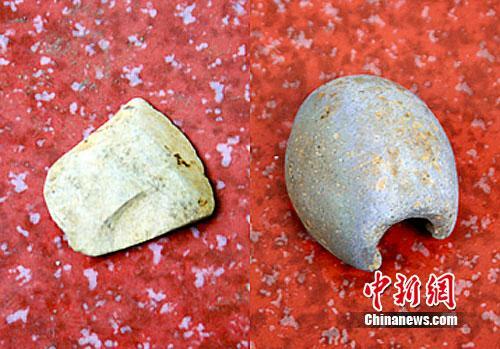 In addition, a well-preserved stone hatchet was also discovered at the Chenjiashan ruins site. In the excavation area, which totaled 300 square meters, many things that were unearthed surprised archaeologists because they were seen for the first time appearances in a local archaeological expedition. These included two secondary burial tombs belonging to the period between the end of the Song dynasty and the early Yuan dynasty, a pair of barn jars full of a liquid that was possibly wine, a well-preserved stone hatchet (a kind of major tool of the ancient Chinese from the New Stone Age to Han dynasty) and a ceramic pendant for a fishing net. - CHINE – Xian - A conservation project on a temple dating to 634 AD along China's famed 'silk road' known as the Daming Palace has become a model for preservation and urban renovation at the same time, according to the International Council on Monuments and Sites (ICOMOS). The Tang Dynasty monument, is considered the 'pinnace of palace architecture in China,' and became part of a local and national government initiative to "preserve while developing" the site. International archaeologists from ICOMOS have been monitoring the restoration of the neglected temple, located in a run-down area of the ancient city of Xi'an in China's central Shaanxi province. The project aims to salvage the city's archaeological area, which has been illegally built on in recent years. It is also upgrading delapidated and deprived residential parts of the area. The site is one of 12 archaeological areas that have earned China's 'National Archaeological Park" title. 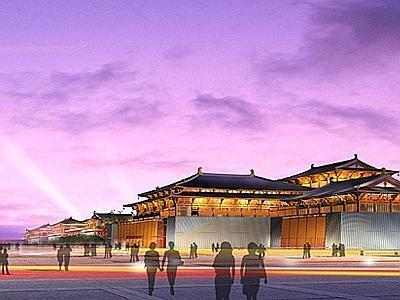 The site renovation is the result of a 2007 meeting in Xi'an when authorities agreed to follow the principles "efficient reserving...ancient culture while serving society." The Daming Palace National Heritage Park opened in October, 2010.